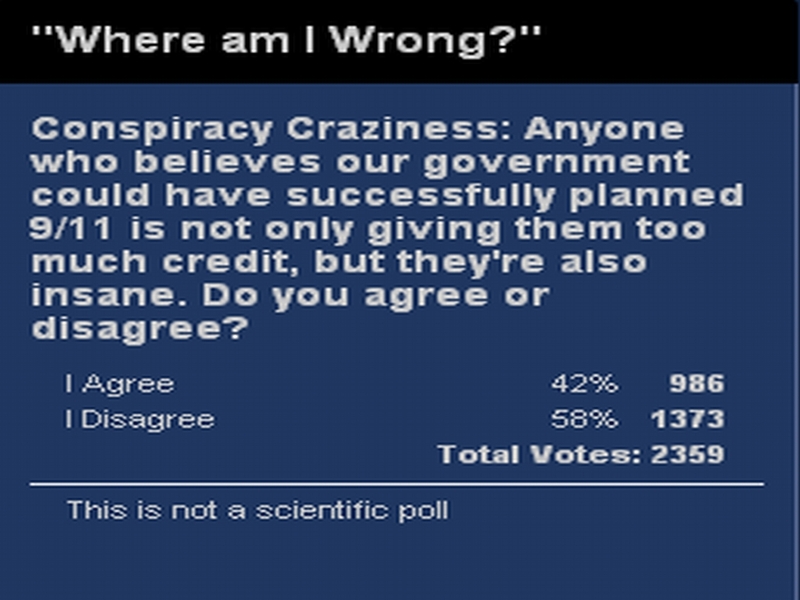 MSNBC has a poll in progress asking if you believe in conspiracy theories about 9/11. chance to weigh in . . .
Jay sent in this poll posted as 'MSNBC TV Question of the Day' for today. At first I thought this was the same poll as this one (direct link), but after noticing the vote counts it appears this is indeed a different poll. One that says 58% believe the U.S. Government was involved, the other 52%. Interesting. So, get on over and vote if you haven't. Thanks Jay for the heads up!